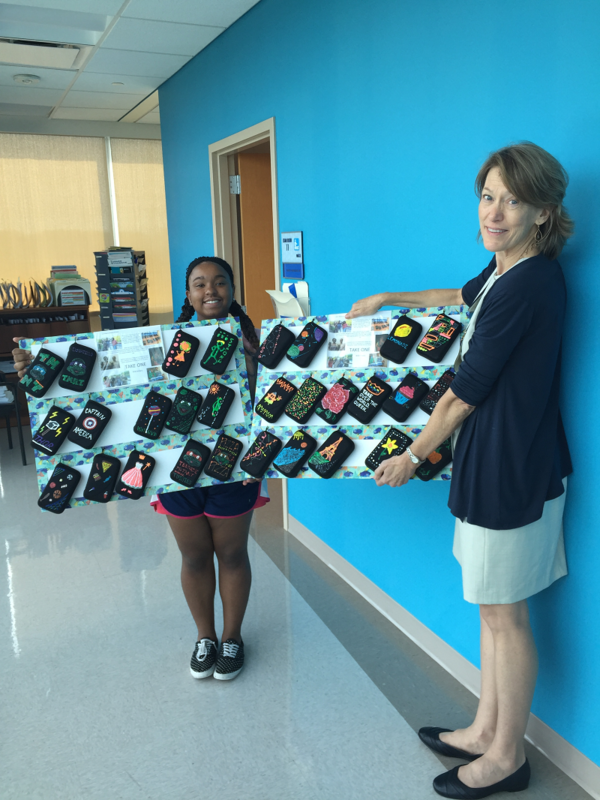 Brandess Holmes, a longtime Pediatric Specialists of Virginia (PSV) Diabetes and Endocrinology patient, recently donated nearly 30 decorated glucose monitoring cases to children newly diagnosed with diabetes. Holmes, along with help from her siblings, friends, and fellow Girl Scouts, spent 30-60 minutes designing and personalizing each individual case to make the children using them feel special. The themes for the decorated glucose monitoring cases range from princesses, to Captain America, to cupcakes, to beautiful landmarks. A special thank you to Brandess, all of the children and family members who helped, and children like her, who help to make PSV and our patients going through new and unfamiliar circumstances, feel loved every single day!